In this superhero action/adventure movie, we join Peter Parker (Spider-man) after his big debut with the Avengers. The famous Tony Stark (Iron Man) has made Peter his protegee, equipping him with a Stark Technology Spidey suit. Peter is set to fight crime, make the world a better place, and be the wonderful hero who always saves the day. He craves to be more than a 15 year old, dealing with the banality of high school. The problem: there seems to be no major crime in Long Island. Then one day, things in Peter’s newly peaceful neighborhood change when the bank robbery occurs. A new class of criminals emerge with high-tech hybrid human/alien weapons. In his hunt for the bad guy, Peter tries to find the perfect balance of being a normal teenager and being your friendly neighborhood Spider-man. 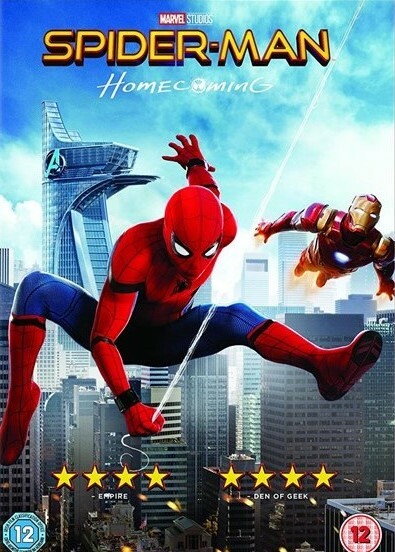 This Marvel movie includes all the classic staples: fight scenes, humor, drama, suspense and a plot twist that your spidey senses won’t even see coming. With that being said, the ending is the most enjoyable part of the movie. While the Marvel audience is used to seeing tortured heroes, even sometimes self-absorbed heroes, Peter falls short in the personality department. In fact, his best friend demonstrates more wit and quick thinking than the main protagonist, which detaches us from the semi-nagging, complaining and struggling superhero. Spider-man: Homecoming, despite not being the greatest Marvel Film ever made, is still worth the watch for the amazing CGI effects and plot line in the Multiverse. Posted by Shannon L. on January 31, 2019. Read more reviews by Shannon L.